“Behold dear ones, we are the Master Collective Unity of Light. within the implementation of the higher self, operating through love and collective unity. with the installation, observation and utilization of your higher self. forging a relationship to love, fulfillment, joy and abundance. as a connection to Source go hand in hand. it is a navigation system that runs behind the mind/emotional body technology. vibrational potentials and divine will. as a your own personal navigation system, a guide or teacher similar to those in this collective. provides and your own spontaneous realizations and notions. not used only to assist you in times of need or trouble. and activating the star gates of the higher self container. but also that of the human collective. in alignment with its highest potential. In this course, you will be mentoring with Quan Yin, Archangels Michael, Metratron and Gabriel and the Orion Council of Light. ​These loving beings make up The Master Collective Unity of Light and are assembling specifically for this vibrational interaction. As you receive communication from these Master Teachers, you will be initiating and activating communication with your own higher selves. This, of course, includes a process for integrating the higher self container as a valuable tool for manifestation and physical modification of your lower vibrational timelines. that have been locked or blocked from you for centuries of human time. imprint and direction than ever before. for healing old wounds, imprints and archetypal patterns and activating your gifts. ​as well as a deep understanding of how this technology has developed and continues to expand through time. 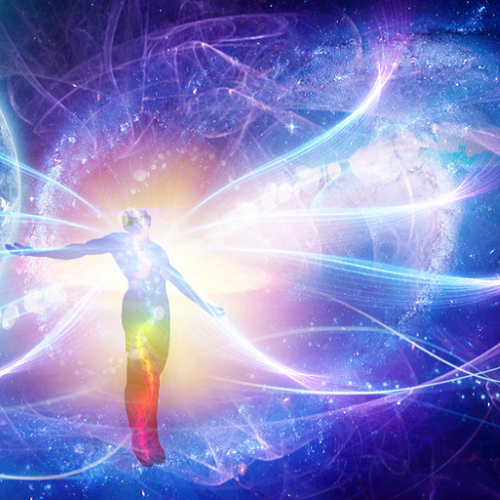 What really is the Higher Self and how does it work as a collective entity through time? Is there a connection between the Higher Self, human transition, soul fragments and our concept of Heaven? In this introductory video, the Orion Council steps forward to explain the make-up of the higher self container, how it operates, how it has evolved and how it connects to the earth and the universe. This is a vibrational transmission designed to active the cellular memory within your DNA of experiences with the higher self container as a soul transitioning between physical human bodies. 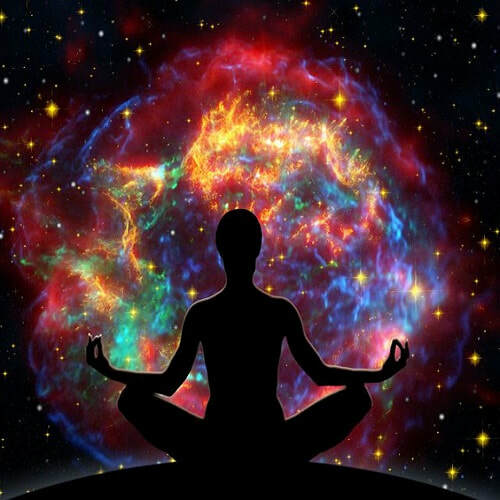 Quan Yin joins this transmission to offer a meditative process, assisting us to journey beyond earth and interact with our higher self essence, magnetizing it as a tool and opening a portal for us to rendezvous with it at will. This process is an initiation into this vibrational course and may be repeated to strengthen your connection and ability to fully integrate the higher self technology. In this final 2-hour transmission, guidance is given to address the areas that might be blocking you from integrating the course material or applying it in your daily life. You will learn specific applications and details about the higher self, human stargates and creation. There are many audience questions answered in this channeled transmission that directly relate to program material. 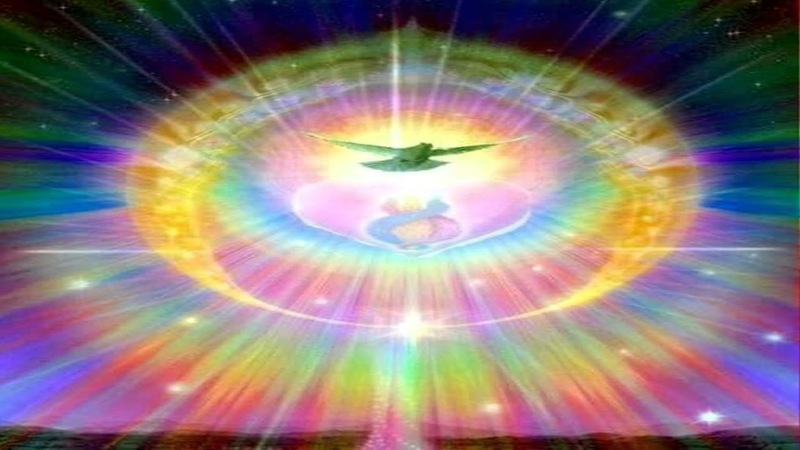 Interact directly with Micheila, Mary Magdalene, Ra and the Pleiadian Collective in a 2-Hour Webcast for a closing message and activation related to the course material. This is an excellent opportunity to receive clarity on the lessons and experiences you had during the course material. 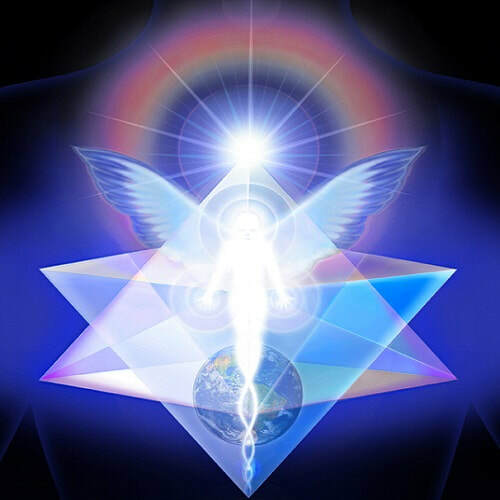 Take the collective energy of this course online as you receive support from others in the class, as well as direct interaction with Micheila in this private, exclusive Facebook group for those in the Lightworker Inner Circle 9 program. Post your questions and share experiences as we strengthen and the energy we create and expand it into the human collective. 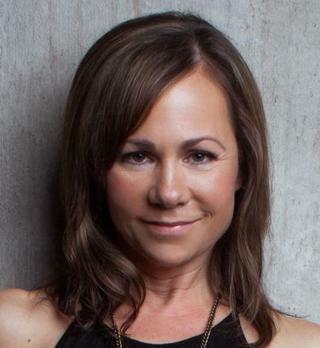 ​Micheila often posts channeled guidance and answers to questions on the group page. I just wanted to write to thank you for your work channeling and creating the Lightworker Series both 1 & 2, and the Monthly program. I have found the whole experience transformational and breath-takingly beautiful. Hearing the words of the Lemurian and Pleiadian Ascension Collectives, and Jeremiah, leaves me in varying states of awe & peace. I am often found dancing around the house in anticipation of the next week's lesson. My Guides have been feeding me fragments of the next week's sessions as I frequently begin to use words and have thoughts that come up in the next week. And I have taken to making accurate predictions about content! To sum it up: It has been a real joy and a tremendous learning experience. There is so much information out there and so many amazing people offering inspirational and transformative spiritual work, it is overwhelming for a new learner! I am so grateful the messages you channeled caught my attention, and that I signed up for your program, which has been most profound. I am a part of your Lightworkers Inner Circle 3. It has just been fabulous to be a part of this group. The work with integrating the Ego has been both eye opening and healing on many different levels. So thank-you so much for the wonderful service you provide for us Lightworkers. Thank you so much for the blessing tonight in the form of the class. The messages and teachings that came through were so spot on for me personally and I imagine the others who were present. My vibration is higher, my heart soring, my issues addressed, sadness lifted. You are such a beautiful channel and teacher, your work resonates with others I have worked with and I feel very grateful that the Universe and G-D has allowed us to co-create together. I look forward to what may come from other times spent with you. Micheila I have just finished listening to the 5 classes and wanted to share my experience so far. Since I have been looking for balance and harmony with my physical body I resonated with class 2 & 5 most. The concept of currency used gave me exact clarity on how I had been working with belief and collective frequencies on nutrition and consuming without intention. The sonic dolphin guidance tool is REMARKABLE!! I had always used it in regard to balance with material wealth but did not imagine it was an answer for the body. To understand that consuming too much food but with a joyous intention that it may be serving another in other timelines gave me total liberation! I had so much judgement on what foods should be and the way everything was grown or designed I was never free to heal..... The 5th class had the concept of tangled frequencies as I saw them gracefully untangle when I addressed the deeper physical issue and stated the fact that I was in charge as source, and lovingly released the ongoing patterns with the root of what was keeping me and it in 3D. I then saw each cord align vertically with my crystalline body. 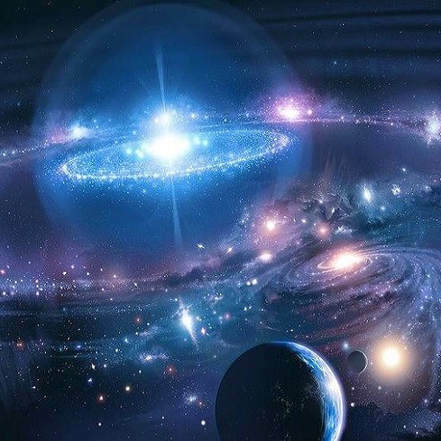 Micheila is a psychic intuitive and channel who is able to connect with her Spirit Guides, Teachers, Ascended Masters and Guardian Angels, as well as those of others. 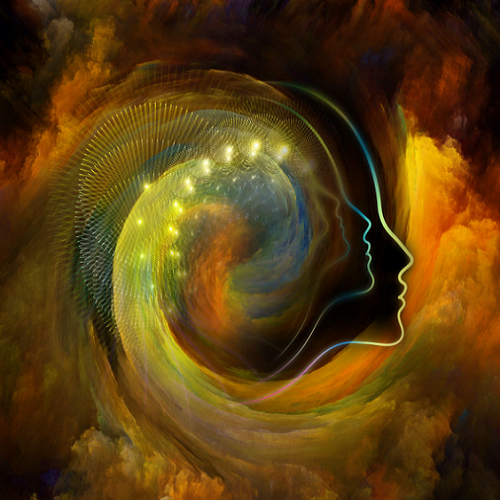 Her awakening and connection to this higher vibrational realm came as the result of overcoming a struggle with chronic pain. Frustrated by years of unsuccessful Western medical treatments, tests and prescriptions, Micheila delved into Eastern philosophy, meditation and holistic healing modalities to overcome her condition. As she walked her path to wellness, Micheila realized that she was tapping into a dimensional realm other than her own, eventually opening to the fact that she was channeling.